Expires 6/30/2019. 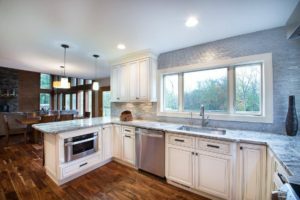 Spend at least $9,999 on a kitchen renovation; Offers are for the stated time period only and may not be combined with any other offers, promotions or discounts. Offer not applicable in all counties due to Consumer Affairs Restrictions. Offer applicable to residents of Long Island Customers Only . don’t have to worry about a thing. labor, and we’ll work hard to ensure you are thrilled with the results. My wife wanted a fancy vanity and mirror for our bathroom and the big box stores just did not have anything that was eye-catching. I went to Affordable Home Expo and was blown away. They have some luxury options in their store and I found the PERFECT set for my wife. Two thumbs up. 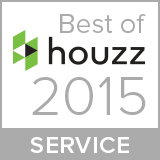 We wanted to purchase new hardwood flooring for our home and someone recommended Affordable Home Expo to us. We stopped in and oh my! The selection was HUGE. We decided on a slate grey wood floor that will look perfect in our home. I would recommend this store. During our kitchen remodel in Long Island, we stopped by Affordable Home Expo to see what our options were. We ended up purchasing a new kitchen sink and cabinets from here. Awesome experience. Quality customer service. The woman I worked with helped me find the exact products that I was looking for. Best company in Long Island. bathroom and kitchen remodel today. We offer over 1,000 of the most trusted brands in kitchen and bathroom remodeling at our three Long Island showrooms. Visit our location at 3006 Jericho Turnpike in East Northport, NY 11731 and let our sales staff help you find the products that you are looking for. 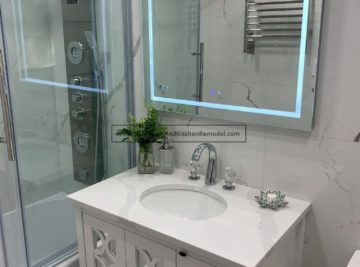 For over ten years, Bathroom and Kitchen Remodel has been working with customers in Suffolk County and Nassau County to help them fully realize their visions for the perfect kitchen and bathroom. 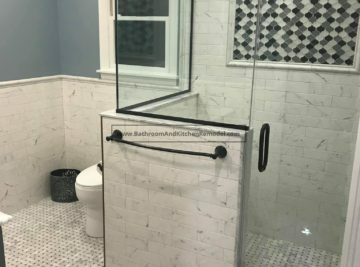 Our enormous inventory or superior products, trained customer service and décor experts, experienced and qualified builders and extremely competitive prices make us the top bathroom and kitchen remodeling choice in Long Island. When you’re ready to give your home a fresh new look, call Bathroom and Kitchen Remodel at (631)-836-7579. Our staff very much looks forward to helping you put your new kitchen or bathroom together for an affordable price. When you are ready to remodel your kitchen or bathroom it is important to remember that this is something you will be enjoying for years to come. Most people only remodel each room once every decade, or even longer. With that in mind, you don’t want to just take an ‘off the shelf’ design that you found online. Instead, work with one of our experienced design consultants to get exactly what you want. Our remodeling professionals have been performing top quality work in Long Island: Nassau County, and Suffolk County for years, and have earned a great reputation. We are confident that we can take your dream bath remodel or kitchen remodel and turn it into a reality. 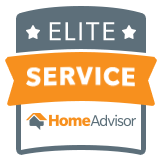 Don’t settle for inviting an amateur into your home to take care of this work, trust the professionals who can ensure you get the results you need. In addition to performing the work you need done, we can also provide you with bathroom remodeling ideas, kitchen remodeling ideas, and other suggestions to ensure you are happy. be. This will help ensure your remodel is done in a timely manner while also getting the best quality work in the region. 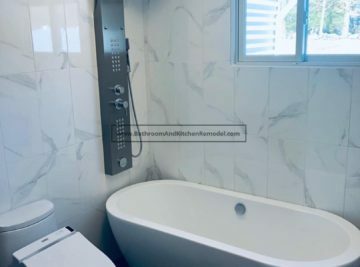 When coming up with bathroom and kitchen remodeling ideas you want to be sure that you have access to all the top-quality products and materials. Our team uses the best brands and designs available to ensure you are 100% happy with how it looks and performs. Using great quality materials also helps to ensure you won’t have any problems with your new kitchen or bath for many years to come. Just because we use top-quality brands and materials, however, doesn’t mean that you are going to have to spend the next 50 years paying for it! We work hard to keep our prices reasonable on all types of jobs. Over the years we have been able to provide our clients with the perfect balance of the highest quality work possible, at the best prices in the region. In addition, we can provide you with a free estimate on any job that you are looking to have done. This will allow you to plan out exactly what you want with your kitchen or bath remodel, without breaking your budget. Whether you are ready to start with your remodel right away, or you’re just starting to weigh your options, please get in touch with us right away. Our team can help you throughout the planning phase with modern kitchens, classic bathrooms, or anything else that you need. Simply dial (631)-836-7579 to speak with one of our kitchen and bathroom remodeling specialists today.